Shop on Amazon to Support us! Garrett Mentors, Inc. > Events > Fundraisers > Run For It! Children & Mentors attend Army Field Band Concert! 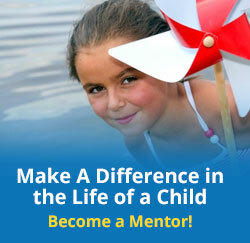 January is National Mentor Month! Sign up to Run (or Walk!) for Garrett Mentors! The sleepy mountain town of Davis comes alive the last weekend in September. Fall leaf peeping and the Run For It event have become a favorite of those who love Tucker County and the surrounding region. The annual 2k/5k race, held in conjunction with Leaf Peepers Festival, provides a large cash purse that entices hundreds from all over the mid-Atlantic states and beyond – to line up and walk, race, or roll (wheelchair or stroller) and raise awareness and proceeds for their favorite community cause. Registration for Run For It opens April 1 when award categories, entry forms, and event information are posted online. Register online or by snail mail. Updates to the Team Roster and Cash Awards are made weekly throughout the 6 month campaign. Anyone can register a team or join an existing team – team members do not have to run or walk together. Registration closes 10a on race day. The race starts promptly at 11am in front of the Davis Fire Hall on Rt. 32 and winds around the streets of Davis. The race day Parade of Teams at 10am provides a great opportunity to raise awareness and show support for fellow racers. Speed is not required to win. Entry fee proceeds, team sponsor support, and cash awards benefit the racer’s group of choice. Join our email list to receive newsletters and updates about our program and upcoming events. We would love to stay in touch with you! Connect with us on Facebook to stay up to date. Paypal or credit card donations can be made through our PayPal account. As a non-profit organization we rely on your generosity to continue impacting children’s lives. © 2019 Garrett Mentors, Inc. All Rights Reserved.